I can still hear the shuffle of the little wooden drawers on my mother’s vanity as she searched hastily for eye shadow and lipstick. She’d already arisen early to cook everyone pancakes and bacon, or biscuits and sausage gravy. Then she’d walked to the farrowing house to tend sows with newborn piglets. Back at home, she had time for a quick shower and an abbreviated beauty routine that included fluffing up her short, curly hair with a plastic, purple pick. She loved powders and creams with the sweet smells of roses and honeysuckle. Upstairs in our white stucco farmhouse, I always took far too long primping for church. Mom would start the warning calls at something like an hour, then 20 minutes, then her voice echoed up the boxed stairwell that I had just a few minutes until we really needed to go. I don’t know where she found the patience, but she never left me behind, even on mornings when she was supposed to teach Sunday school. Finally, we’d be driving down the dirt road, my juvenile delays making us at least five or ten minutes late. One of the few things I felt I could do for Mom after her death was to lock myself in her bathroom, away from the din of mourners, and locate her favorite makeup. I carefully opened every wooden drawer to determine which eye shadow she’d been using regularly, which foundation color, what she’d used to brighten her cheeks. I picked through the not-quite-right lipstick colors that hadn’t been touched to find the pink one with the soft curve that showed she’d been applying it day after day. I zipped the little cosmetics bag and readied it for a visit to the funeral home, ahead of the open casket service we’d be having. I was a young, married adult at the time and it would be years before my children were born. 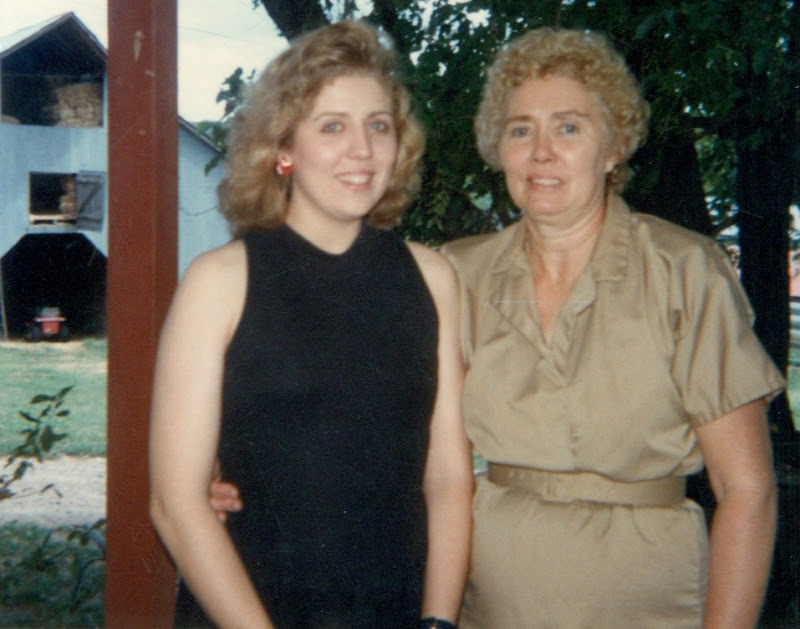 More than a decade after her death to cancer, I’m still having new realizations about what Mom taught me. Of course, she loved me and all of her family with the fiercest, sweetest kind of unconditional love. Her relentlessness in getting me to the First Baptist Church on Sunday mornings must be why I still call myself Christian. Her work ethic on the family farm, her devotion to my father, and her commitment to community were all unquestionable. Mom’s relationship to cancer was complicated, her exposures to possible carcinogens were many (no, she never smoked), and it will never be clear exactly what caused her death. The perspective of time has helped me see that Ruth Ann Brock’s death at 65, grievous as it was, is not the real tragedy here. She would say that she lived a blessed life. Her love for children, evident as she reared four of her own plus taught others in 4-H and church, would prompt her to say those youngest lives lost and those parents who died leaving young children behind — those are the tragedies. I would add that a half-million lives lost in our country every year to cancer is a number so large most of us can’t process it. We’re numb to the reality that we all know a relative, friend or colleague who’s had cancer. In recent years we’ve all had access to more health and wellness information than ever, including findings from unprecedented research about cancer. It’s now common knowledge that most cancers are a product, not of genetics, but of environment, which means lifestyle factors as well as everything that surrounds us, including the very air we breathe. 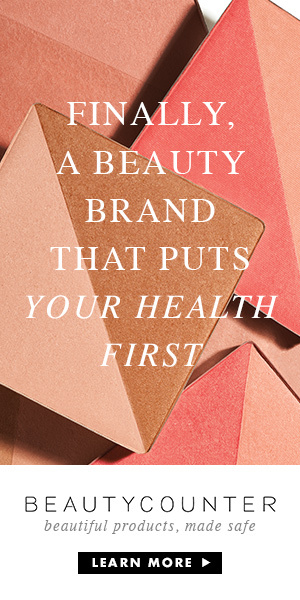 I think my mother would be astounded to learn that I scan everything in the ingredient list of a cosmetic product and try to match it against a list of chemicals of concern. She’d be amazed at how much money I’ve spent on a simple bottle of shampoo in my effort to keep my daughters from breaking out in hives today or developing cancer years down the road. She’d understand our goal to reduce some fats and sugars in our diets, but she’d probably be shocked to learn about Bisphenol-A (BPA) concerns with canned vegetables and pesticide residue concerns with fresh fruits. She’d be puzzled to learn that cleaning products she thought were good to use in the house could possibly contribute to illness. 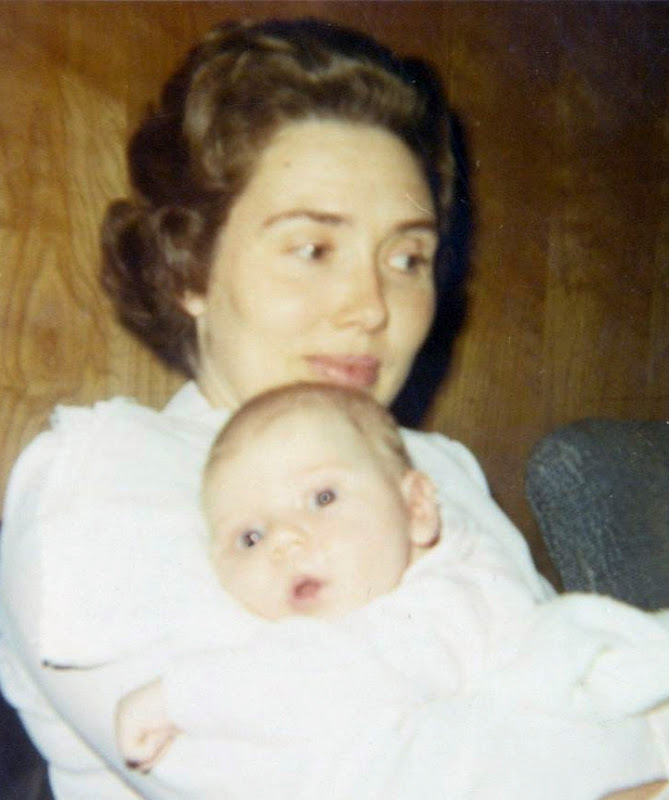 The saddest lessons I’ve learned from my mother’s cancer death are the things she didn’t say and do. She didn’t have enough access to information, she didn’t question authority, and she didn’t set aside time to care for herself. With the internet and respected groups like Safer Chemicals, Healthy Families, I’m thankful for today’s access to the latest information about preventing cancer and other serious illnesses. I’m willing to politely question what those in positions of authority are doing to improve the status quo. And I admit that as a busy mother of two young kids, I’m still struggling to find time for myself, despite having a supportive husband. Mom was a clean-living sort of person living in a beautiful rural setting, yet she was surrounded by potentially cancer-causing substances and didn’t know any better. We know better. We have the chance with the Safe Chemicals Act to set a higher standard for safety in thousands of everyday substances and to eliminate the worst toxic chemicals of concern from our household environments. I owe it to the grandchildren my mother never met to promote a healthier future for them. Please find out more for yourself about the Safe Chemicals Act and how it could help save lives. Please consider how you can support the National Stroller Brigade for Safe Chemicals that’s headed to the the US Capitol on May 22. Hundreds of people, including nurses, cancer survivors and concerned parents, will be asking Congress for common sense limits on toxic chemicals. I’m honored that through a sponsored trip with the Safer Chemicals coalition, I can have a small part in this historic event. I’ll make an extra effort to be on time, and I hope my mother would be proud. Thank you Trina, Miss Frugal and my anonymous friend. What a beautiful story. Was perusing your site and was very moved by this entry. So sorry you lost your mom. You make many excellent points in this article. This is wonderful, and you’re inspiring me to write something similar about how my mother and father’s early deaths from heart disease and diabetes were partly environmental. Our country needs to create common-sense safety standards and advisories with our food production, too. You, like your mother, are an inspiration, Anne. Thank you for sharing such a personal part of your life in such a public yet humbled fashion.